Tessa Deenik likes nothing better than helping clients realise their visions. As a Senior Consultant, Endeavour’s clients are her number one priority. When they’re happy – she and her team are happy too. 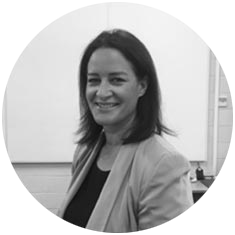 Tessa has an extensive background in IT and business solutions, and a friendly, organised style. And it’s this combination of the right experience and the right approach that enables her to work with clients through thick and thin, helping them achieve successful results for their business systems. For Tessa , Endeavour is a jigsaw of pieces that fit together to form a very special place to work. She loves the people, the products, the integrity and the support, so it’s no wonder she’s been a key part of the team for over 12 years.